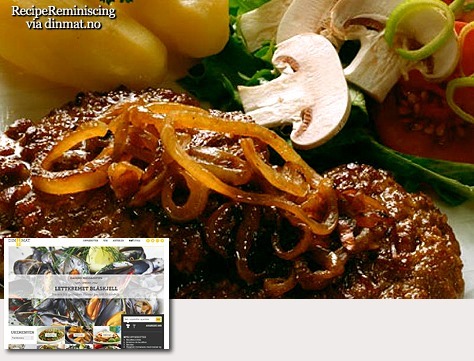 Wallenbergare is a luxury patty which consists of finely ground veal. 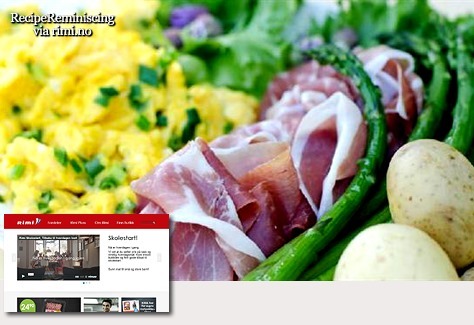 Other ingredients include: cream, egg yolks, salt, pepper and fresh breadcrumbs. Wallenbergaren should be fried very lightly and be light inside and only light brown on the surface. 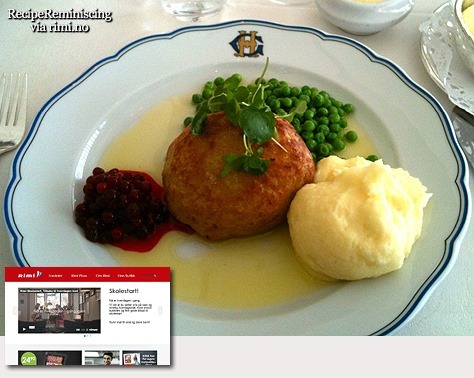 Wallenbergare is often served with boiled potatoes or mashed potatoes, cranberry jam and green peas. 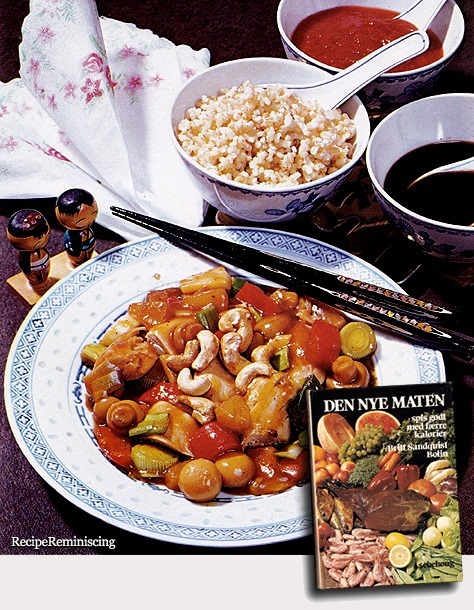 The dish is named after magistrate Marcus Wallenberg, whose father-in-law was a doctor and cookbook author Charles Emil Hagdahl. 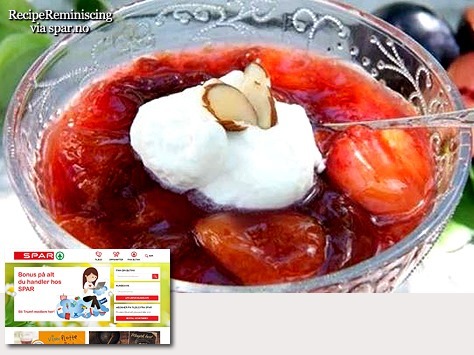 Plum compote is a delicious dessert that often evokes nostalgia in many of us. Server it lukewarm with whipped cream and some almond flakes. Sinalco is a popular brand of non-alcoholic drinks first marketed in 1902, with sales in now more than 40 countries. 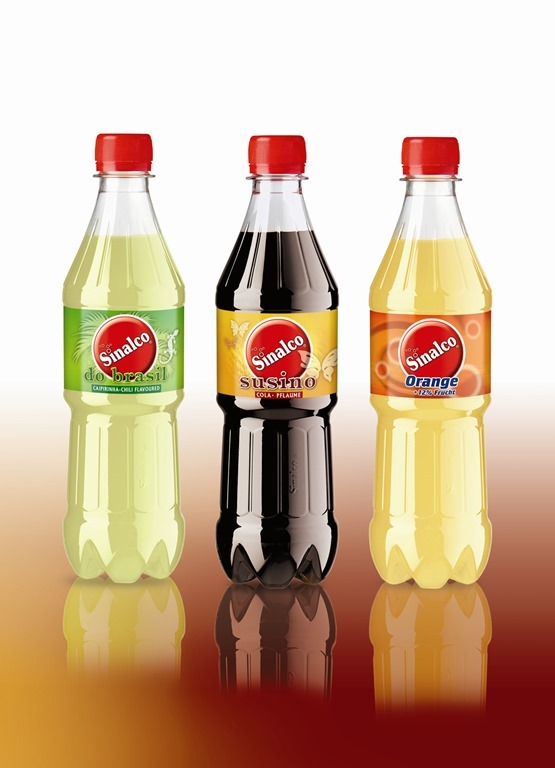 Sinalco is the oldest soft drink brand in Europe. 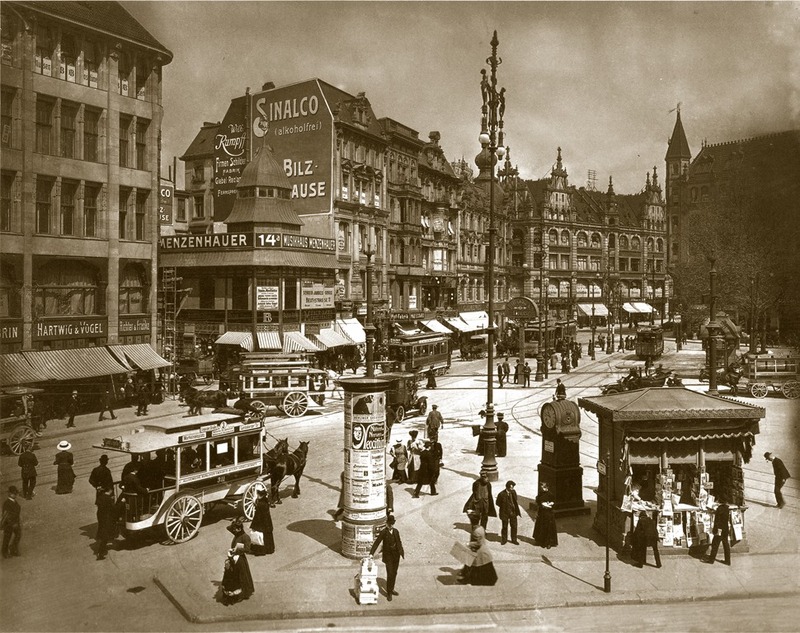 It is produced by Sinalco International, a company head- quartered in Duisburg, Germany. 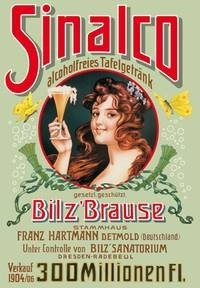 In 1902, German scientist Friedrich Eduard Bilz invented "Bilz Brause", a sherbet powder, and started to sell it in partnership with industrialist Franz Hartmann. As imitations started to appear, they held a prize competition for a brand name, and chose "Sinalco" (an abbreviation of the Latin sine alcohole, "without alcohol"). As one of the first beverage brands, Sinalco came to be exported worldwide, particularly to South America and the Middle East. The red circle trademark was registered in 1937. A distinctively-shaped bottle was launched in the 1950s, and updated at the end of the century. 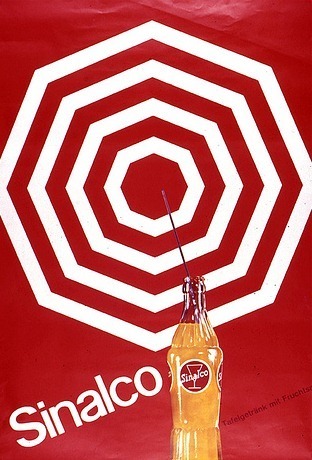 Besides the original Sinalco Orange, today the company also bottles Sinalco Cola and a few other kinds of soft drinks. 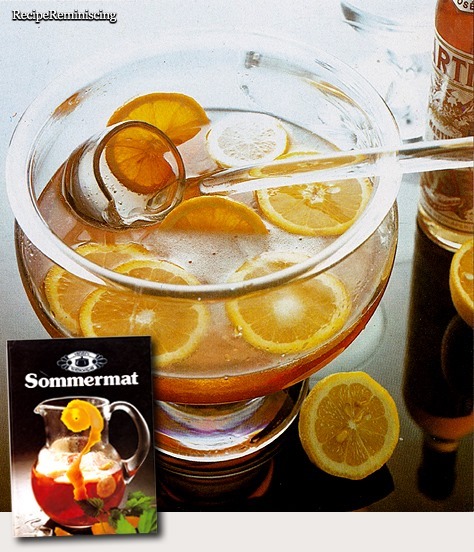 In Germany, it is the third most popular soft drink, after Fanta and Sprite. 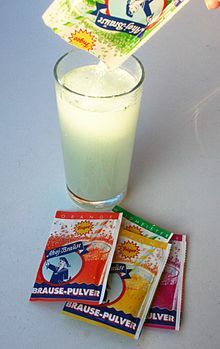 Beginning with the 19th century sherbet powder (soda powder) became popular. "Put a spoonful of the powder in a cup of water, mix it and drink it as soon as possible, during the time of sparkling. … Because this way the most of acid of air is lost … it is more practicable to put the powder into the mouth and flush it with some water." 2 g of sodium bicarbonate and 1.5 g of tartaric acid were separately packed in little coloured paper bags. 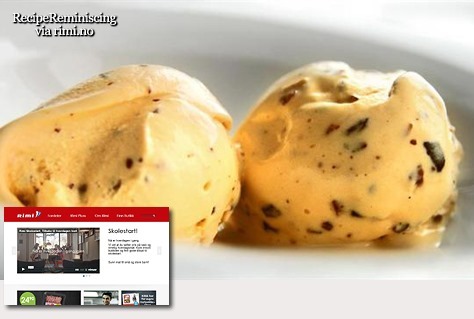 Sherbet is a fizzy powder, containing sugar and flavouring, and an edible acid and base. The acid may be tartaric, citric or malic acid, and the base may be sodium bicarbonate, sodium carbonate,magnesium carbonate, or a mixture of these and/or other similar carbonates . To this is added a large amount of sugar to mask the unappetising flavour of the reactive powders, and fruit or cream soda flavouring. From my rather extensive collection of family-, news- and women’s magazines from the forties, fifties and sixties (we’re talking several thousands here) I have gathered that bowles in lots of variations were very popular in Scandinavia back then. Partiqularly in the forties and fifties. 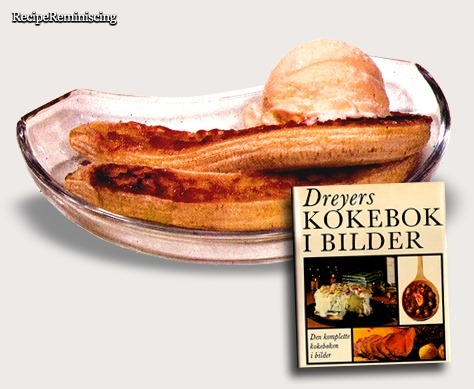 Back in the fifties, sixties and seventies there wasn’t an outdoor restaurant in Norway without this dish on the menu. It was the ultimate summer dish back then and I’ve had it at the outdoor restaurant in the sculpture park at Frogner in Oslo more times than than I can count. It was gone from the menus for ages to give room for Italian and French dishes but luckily our best chefs have created a new interest in our own culinary tradition so it’s back now. 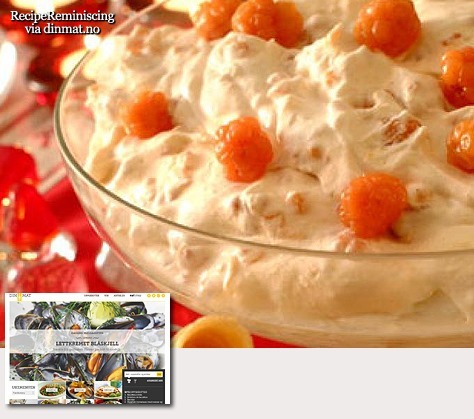 Cloudberry season is short, pick them while you can. Clean and sweeten them before you put them in the freezer. Take them out and enjoy at a suitable opportunity. If cloudberries are hard to come by round your neck of the wood the recipe works just as well for raspberries or blackberries. Patties are foods that everyone likes. Served at both lunch and dinner, the buffet and in many parties. 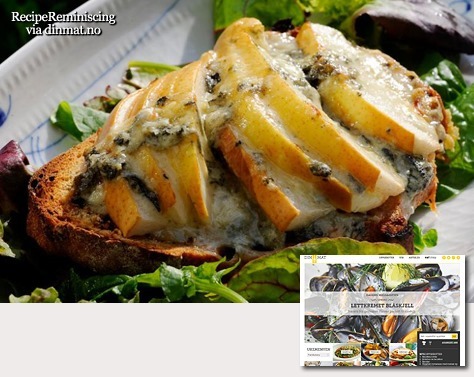 Or why not enjoy the patties on good bread with fried onions and a little salad as an evening snack. Here’s a little treat for all you lovers of chocolate and cocoa; “Walter Baker & Co’s Chocolate and Cocoa Recipes By Miss Parloa and Home Made Candy Recipes By Mrs Janet McKenzie Hill” published in 1909. You can also download the book by clicking here –> When the pdf opens, move your mouse cursor down in the right hand corner and click the diskette symbol. 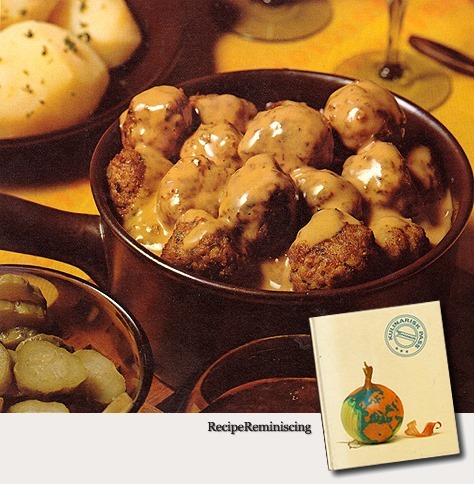 Köttbullar Med Gräddsky is for many Swedes the most Swedish of dinners and the dish is just as popular in Norway. 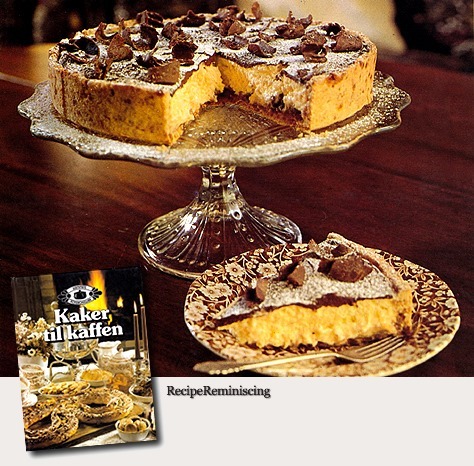 Just about every Swedish family have their own recipe and way to serve the dish. 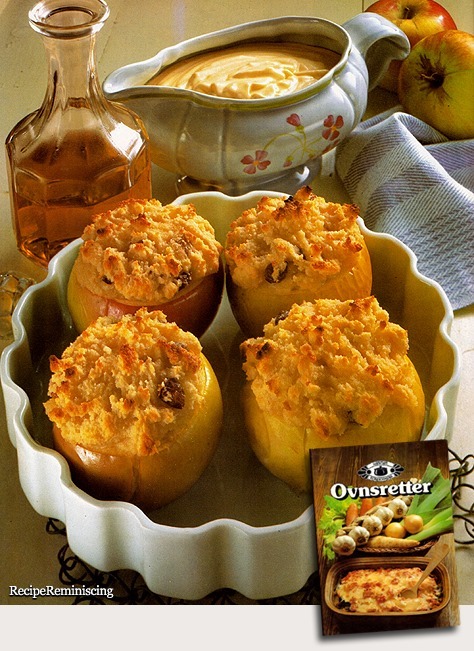 Some serve it with mashed potatoes, some with boiled. Some with pickled gherkins, some with cucumber salad, but few serve the dish without cranberry jam. 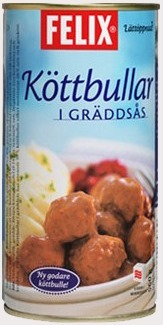 And as anywhere else in the world you can get the most popular dishes in cans or frozen in boxes or plastic bags, so also with Köttbullar Med Gräddsky in Sweden. When Scandinavians feel like Köttbullar Med Gräddsky they often drop by IKEA where it is always served in the cafeteria the year round.